While you don’t need to do all your driving practice with a licensed driving instructor, it’s advisable to get a number of hours in with one right at the beginning so that you don’t get into any bad habits (or, they can get you out of the habits that you might have observed from your parents or friends). If English isn’t your first language then an instructor fluent in your native language may be able to help. At the moment, your learner licence can be taken in multiple languages, but road signs are always in English and will be more challenging in practical driving, so if you need help translating, find an instructor who can help you feel comfortable with your language skills. Depending on your preference and cultural norms you may prefer a particular gender. It is not discriminatory for you to choose an instructor of whatever gender you like. This applies to cars: if you learn to drive in an automatic car you will only be able to drive automatic cars on your restricted licence until you get your full licence. If you want to drive a manual car, you will need to learn in a manual car and take your test in a manual car. Make sure the instructor has the right car for you. There’s more information here. Choose an instructor that has a car that you like to drive. Some smaller cars are not that comfortable for taller drivers, for example. If you have a disability then you may need to provide your own car for the instructor, or find an instructor that can accommodate you. Consider whether you want a driving school or an independent instructor. A driving school might be able to offer you a range of cars and types of instructors, plus if an instructor is ill may be able to fill the appointment with a different instructor. However, an independent driving instructor might have better flexibility, be able to work in a niche (for example, specialising in nervous drivers), and may service geographical areas that schools don’t reach. You’ll be spending hours in a confined space with your driving instructor. If you don’t like the one you have chosen, change. It’s important for you to have rapport, and for the instructor to be nurturing and supportive, while being firm with the rules. An instructor that you don’t like can give you a bad first impression of driving. Instructors are mostly very busy, especially mid-afternoon when schools finish. To get the best results from your instructor you should book consistent time slots if possible as that allows them to plan their day – they are running a business, and it’s not an easy business to run. The instructor should be able to meet you at a convenient place and they should be reliable and punctual. It is not acceptable for you to cancel a lesson without giving the required notice, but some instructors are more lenient on this than others. Check the cancellation policies. Some instructors will give you additional materials to work with that explain driving techniques. These might consist of diagrams, links to videos online, written material, etc. Instructors will want to offer longer lessons because it minimises their driving time, and that can be significant in a city like Auckland or Wellington where rush hour travelling can chew through the hours. One hour is fine for a lesson for a new driver; two hours could be too long when you are starting out as your brain will be overwhelmed. You might progress to two hours once you have a little more practice. Instructors may sometimes want to structure your route so that you pick up another driver along the way. That driver will then take over once you have finished your lesson. If you are OK with this (i.e. you don’t think it will be distracting), it does help the instructor maximise their time. However, bear in mind that you should not be waiting for anyone as you are paying for driving time, not sitting time. The instructor may offer a discount for you allowing them to pick up another driver. You will get a better deal from your instructor if you negotiate a package price for a number of lessons, e.g. 10, and pay up front. You should not choose your instructor on price, though. A cheaper instructor might be cheaper because he or she has a bad reputation or poor results and needs to lower the price to get clients (note: this will not be the case all of the time). If you do end up with a bad instructor then you might have to take more lessons than is necessary to achieve the same result with a good instructor, therefore it’s a false economy. Check whether there are financial penalties for cancellations. Ask your instructor whether they have full public liability insurance; you don’t want to end up liable for damage to the instructor’s car or your car if you end up in an accident. Also, remember to check out our article about choosing automatic vs manual when learning. 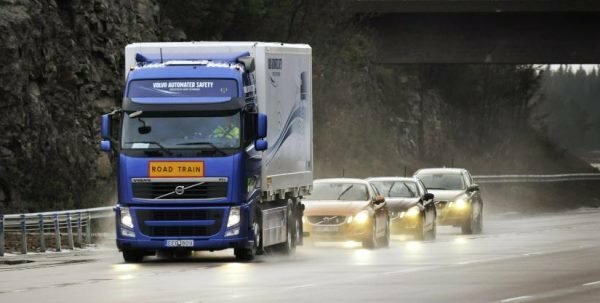 ‹ What is vehicle platooning?